For great holiday gifts or snacking, you can’t beat our beautifully packaged gift tins brimming with delicious Mammoth Halves. 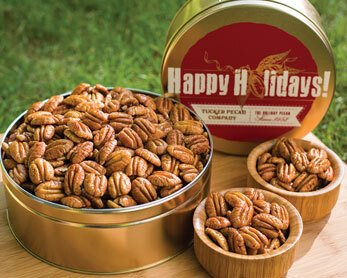 TUCKER PECAN COMPANY Holiday Gift Tins are available in either Natural or Roasted & Salted Pecan Halves. 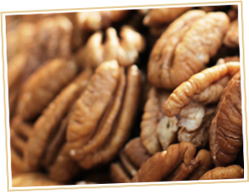 Choose from three sizes: 1 ¼ lb., 2 lb., or 3 ¼ lb. gift tins. Your friends, family, clients and business associates will love our holiday gift tins.